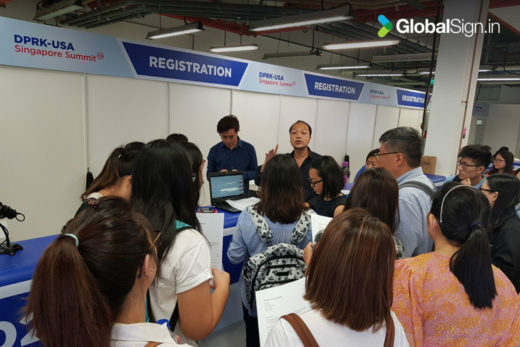 GlobalSign.In has been working as an event technology provider in the industry for more than 11 years, combining business know-how with technical expertise and practical experience. We are pleased to announce our new innovative check-in solution, GoSmart, which can be used for events as small as 50 attendees as well as large-scale events. 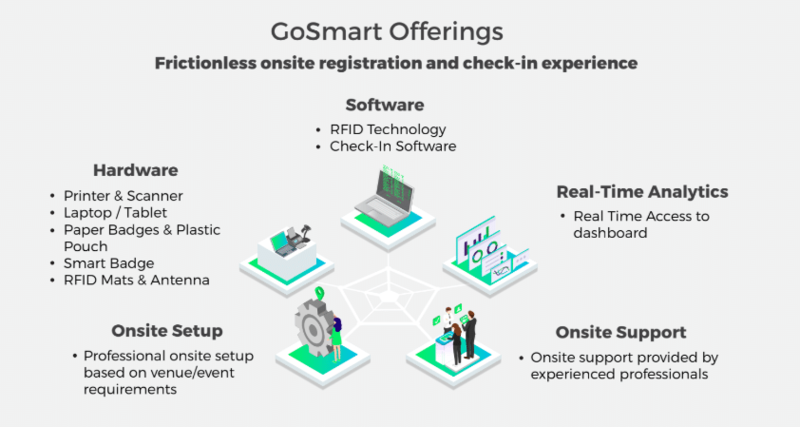 The full package is represented by hardware, RFID technology, software solutions, onsite support, and onsite setup provided by experienced professionals, which makes GoSmart a perfect solution for onsite registration. GoSmart is designed to get rid of long, exhausting queues at the check-in/registration counter and make the process seamless. In addition, this means no more engaging multiple vendors for different hardware, software, and staffing solutions. 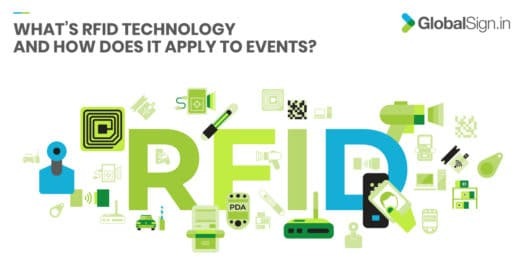 With GoSmart, event organisers are given access to smart real-time analytical data on engagement hours and movement tracking with smart badges, all at the smartest price in the industry. 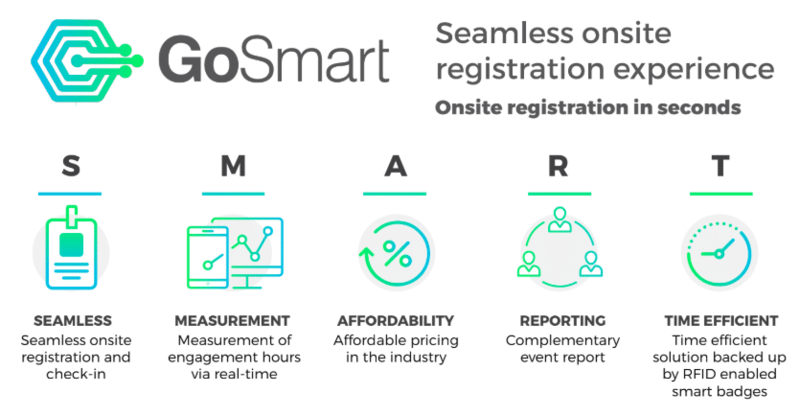 The GoSmart solution perfectly suits and serves both small events starting from as few as 50 attendees up to 50,000 attendees at large-scale events and boasts the smartest price in the industry. Find out more about GoSmart.